600 acres of desert beauty is where spa enthusiasts, adventure seekers and people searching for peace will find Amangiri. The name means peaceful mountain, and this all-inclusive property is simply magical. Tucked away in a protected valley, guests will fall for the sweeping views of the Grand Staircase, towering plateaus and natural surroundings. Whatever reason brings you to this alluring section of Utah, know that luxury and comfort await your arrival at the breathtaking Amangiri resort. Amangiri was designed to architecturally blend with the desert that surrounds the grounds. The hues, textures and materials that were used all compliment the valley, creating a space that feels like it actually belongs. The resort is made up of 34 suites, all with varying views and layouts. Each suite offers air conditioning for the hot summers and under-floor heating for the cooler months, glass walls, sitting areas and cozy beds, glamorous bathrooms, modern amenities and so much more. Some suites even boast a private plunge pool to ensure a grand stay. 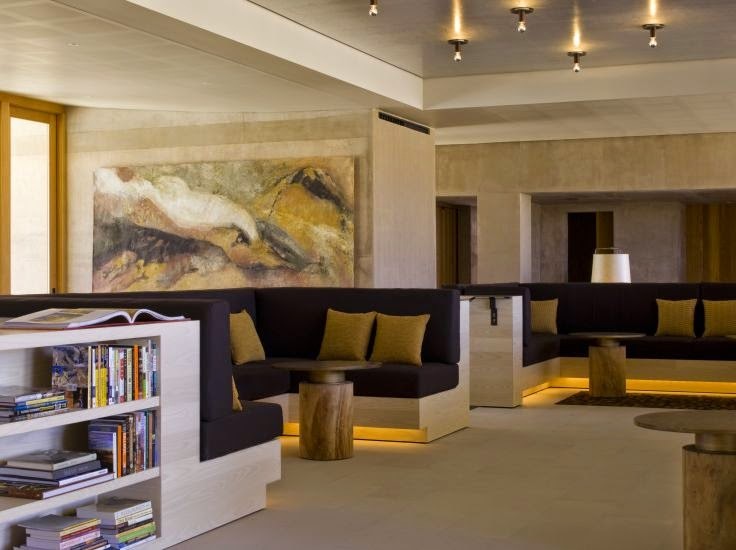 Amangiri also has fantastic common areas with sensational views, an art gallery, library, swimming pools and a desert lounge. Guests can completely relax at the Aman Spa at Amangiri, a large complex of stone and water features where rejuvenating treatments are guaranteed. The private dining room and cellar is the perfect place for a memorable meal, while the main dining room presents a pleasing menu with glass walls and a rustic vibe. Off resort grounds patrons can enjoy hiking, boating, flights and other tours for a thrilling stay. Who knew isolation and simplicity could be so fabulous? 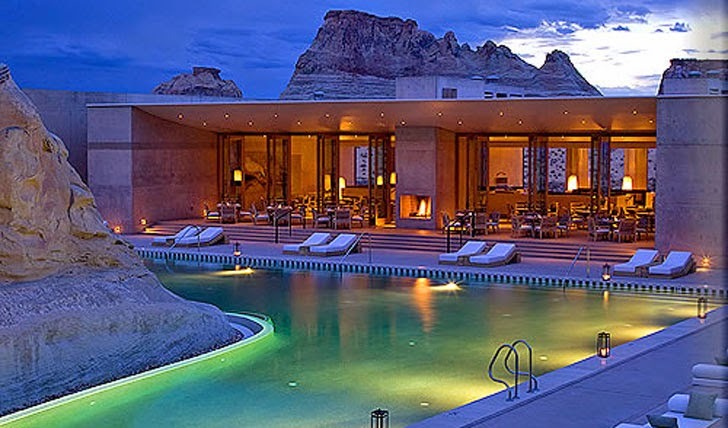 Aman Hotels did, so they created the lovely Amangiri. When booking stays at the all-inclusive Amangiri across the right site, guests will not only enjoy the top notch accommodations and extraordinary amenities, but also Exclusive Complimentary Perks for one of the best deals around. These perks include available upgrades, a $100 hotel credit and options for an early check-in and late check-out. The mountains and desert are the perfect backdrop for this award-winning resort. 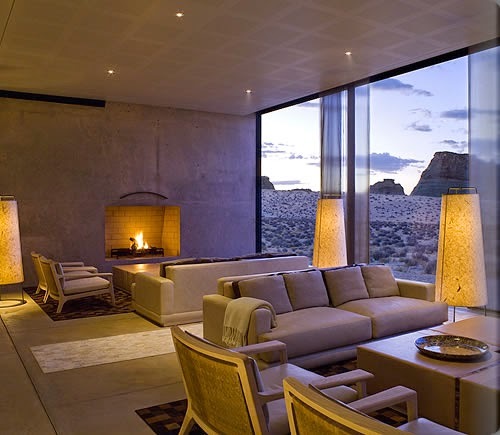 Plan your travels to Amangiri for a remarkable trip that is sure to please.